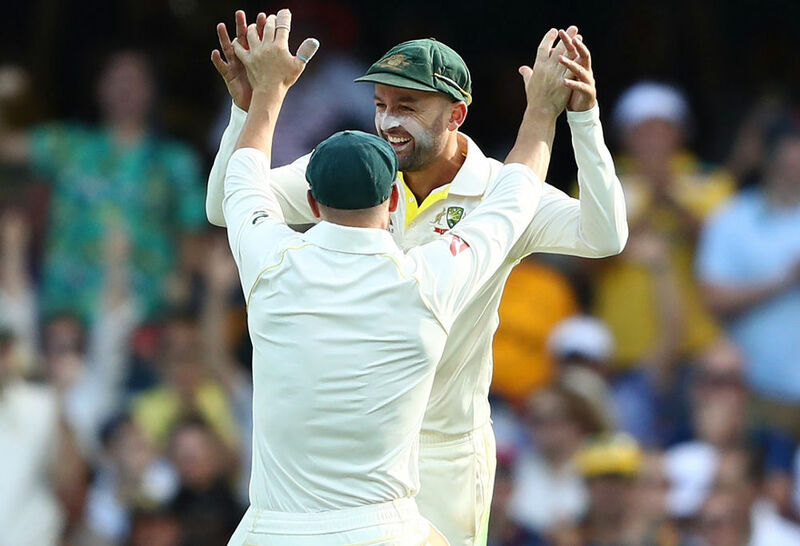 Before we get down to business for the second Ashes Test between Australia and England in Adelaide, it’s worth reflecting on what we witnessed at the Gabba. It was a strange Test in many ways, with a slow and steady run rate dictated by an unusually benign Gabba pitch. If you look at the scoreboard in 50 years time, it looks like a relatively straightforward 10-wicket victory for Australia. But it was actually much tougher than that. Indeed, the conversation on The Roar’s live blogs indicate just how close the action was (for the first three days, at least). Here’s s a summary of the first Test’s action as told through the comments of your fellow Roarers. Al – I was hoping we’d lose the toss. You can’t win a series in the first session of the first Test, but you can sure as hell go a long way toward losing one. If the English top order can’t keep their collective heads and leave those rising balls outside off, they could easily find themselves 4 down by lunch. Here’s hoping! Rellum – Very underwhelming first couple of overs. We need to make them play. Still cool up here so ball can still move around. Pitch looks easy for batting right now to me. Why is [Shaun] Marsh under the lid? We heard all the talk of Cam Bancroft being a gun under the lid, and he is even the youngest and newest to use the old reason for sticking someone under the lid. Maybe Marsh’s injury is the reason. 144kph Bouncers are barely getting about box height. I can’t remember seeing this at the Gabba before. Edward L’Orange – With the drop, honestly, I feel sorry for Paine. He didn’t asked to be picked, and what’s he going to do, say no? It’s not his fault he’s not really up to scratch, and now he’s going to be made a scapegoat. Ronan O’Connell – I understand England’s go-slow approach today – Australia only have four bowlers so they want to tire them out. The drawback is that England will likely only be on about 200 when Australia get the second new ball. Ryan H – Interesting isn’t it that of their bats today, it was the unknowns doing the scoring; the ones we were all unsure of before the series, and the known star batsmen in Alastair Cook and Joe Root failing to contribute. 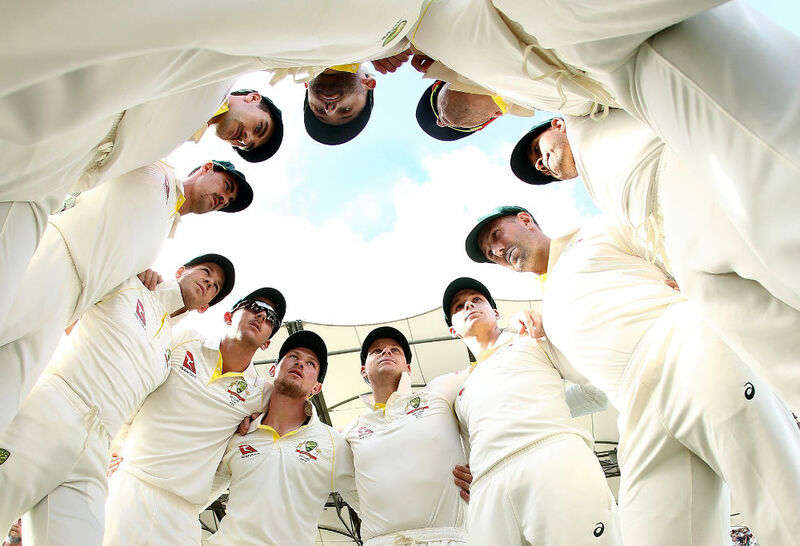 Chris Love – My hat is off to Shaun Marsh who I was vocally opposed to being selected. He’s done his job and stopped the rot so far. Meanwhile, Maxi [Glenn Maxwell] showed the selectors were wrong with a big not out double ton. This now heaps pressure squarely on [Pete] Handscomb to produce in the second innings if Marsh goes on with it tomorrow. England surely in front at this point and will consolidate that if they get an early wicket tomorrow. Australia still has plenty of batting to come with Paine surely looking to prove a point and make up for the dropped catch. James F – An average of two and a half runs per over throughout the Test, but it’s riveting stuff. Interestingly, Ricky Ponting has England a nose or so ahead, while Shane Warne gives it a similar margin in favour of Australia. Most of the other wise owls are on the fence. Rob – Thought England were a big chance of 400+. 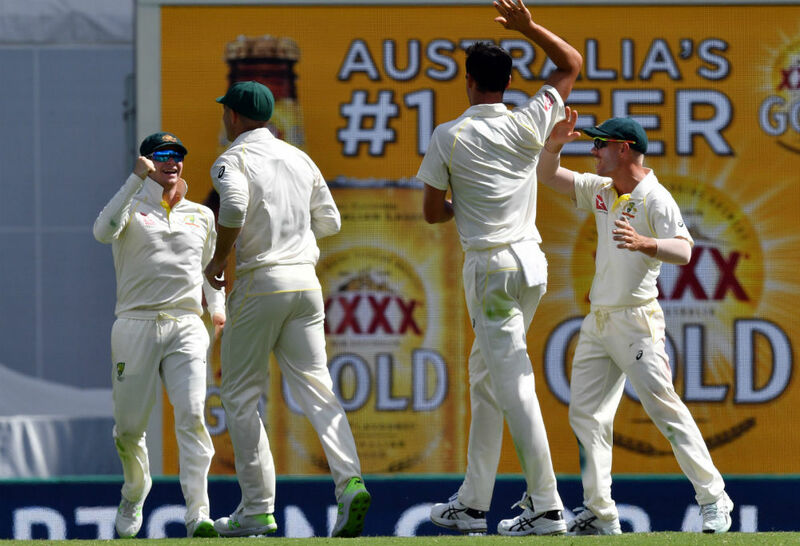 Australia came out with a plan of using the short ball and England rolled over far to meakly. I thought Lyon was outstanding and kept Australia in the game. The Gabba pitch suited Lyon’s bowling. Brian – Cook 2, Root 15, Bairstow 9. Ashes are as good as won until 2019. There is no way England were ever going to make enough runs unless 2 of those 3 had massive series. JGK – Smith still hasn’t gone 3 Tests in a row without scoring a 50. Not even Bradman, Hobbs or Sutcliffe managed that. World’s Biggest – Magnificent knock Smithy, once again the skipper puts the team on his back. Cummins was a superb foil and deserved a half century. Hazo bowled beautifully to nab two very important wickets. Still a long way to go in this game. 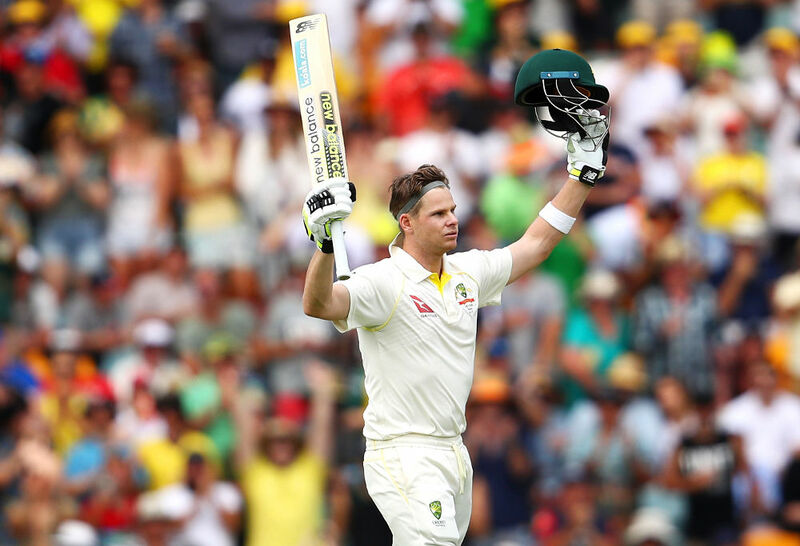 jamesb – Smith now averages 61.2, and is halfway through his 57th test. Ridiculous. Pedro the Maroon – The Aussies bowl about 5km faster than the Poms. The extra pace makes a lot of difference – especially with the new ball with half an hour to go against a nervous top order. If Cook has a bad series, that may well be it for him. Rellum – England strike me as being too caught up in team ‘balance’ and bowler workloads rather than just picking the best attack to take 20 wickets. 40 overs a test seems to be their limit and all sorts of mental issues come in after that. Seems clear though they only have two bowlers of Test class based on the their attack in this Test. Their plans were great when they came off but there didn’t seem to be many plan Bs or thinking on the fly. Simoc – Very impressive today from Australia. More speed in the pitch and they are all over England. Bancroft looks as good as his reputation tells us he is. Worlds Biggest – Great day for the Aussie’s in the field and then a very mature stand by the openers, well done to Bancroft on his maiden 50, should give him a lot of confidence. jamesb – Fortress ‘Gabba strikes again. Good win lads. Worlds Biggest – Great win Australia considering how close it was for first 3 days. Top effort to get the runs without losing any wickets. Peter – Gotta feel for [Matt] Renshaw. He’ll probably be plugging away in empty stadia for the next few years. But Bancroft is a class batsman. 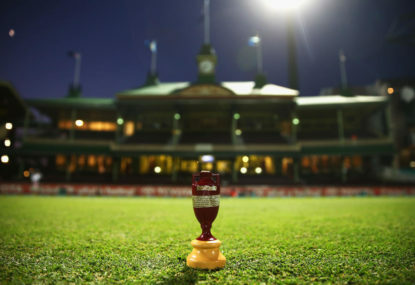 Stay tuned for The Roar’s live coverage of the second Ashes Test, which kicks off on Saturday in Adelaide. 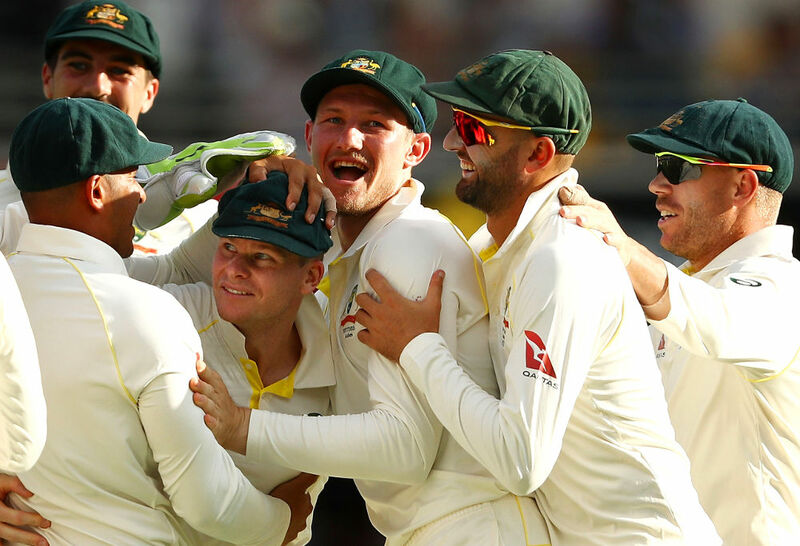 You and your mates can celebrate XXXX GOLD’s partnership with Australian cricket by donning your very own XXXX GOLDIE cap this summer. The more times you catch up, the more chances to win a share in $350,000 in prizes. Full details here.